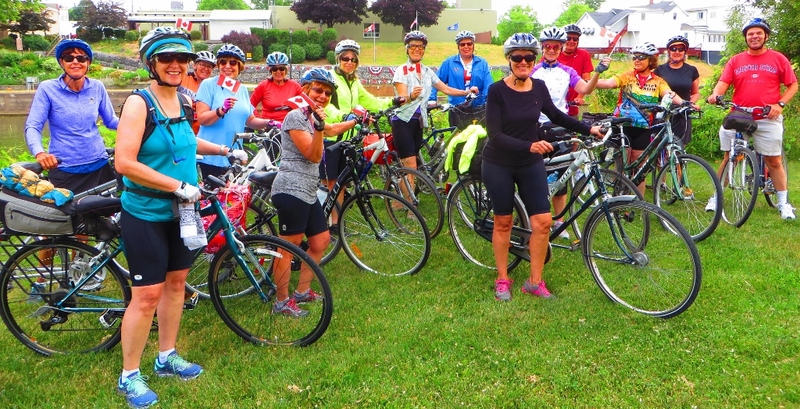 If you find yourself at mile 220 on the Canal you’ll want to spend some time In Lyons. In 2014 Lyon’s hosted boaters from 34 states, Canada, and even hosted visitors from 4 countries outside of North America. NYS and National Register of Historic Places. It’s also a “Main street USA” designated village. As is the case with many communities along the canal Lyons opens its doors to boaters. There are docking opportunities on both the North and South sides of the Canal with electric on both sides. Docking, electric, water, wi-fi, and showers are all free. The bath rooms are located just up the stairs on the North wall at the firehouse. There is 24 hour video surveillance as well. Lyons celebrates three major festivals. Peppermint Days is celebrated at the end of the third week in July. Pumpkin Palooza, a one day event is celebrated during the third weekend in October and Winter Wonderland which is celebrated during the month of December. Thunder over the Erie is one of the best and longest fireworks displays in upstate NY. It begins at dark on the Saturday of the Peppermint Days celebration. 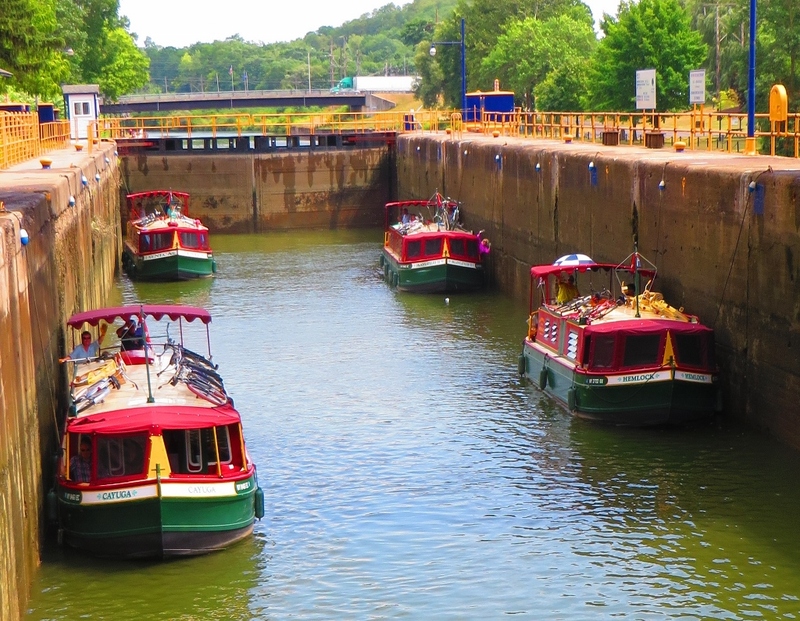 Boaters are welcome to fill the Canal during the fireworks. 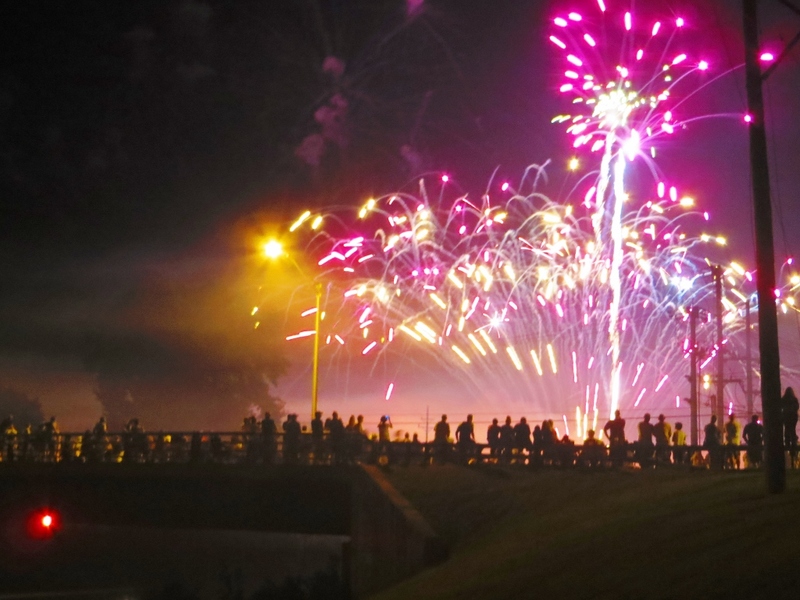 The route 14 bridge crossing the Canal is closed to traffic during the fireworks and filled with spectators. the Clyde River. Lyons is the county seat of Wayne County. Originally called “The Forks”, Lyons was renamed by Charles Williamson, land agent for the Pultney Estate. Looking down on “The Forks” he renamed the settlement Lyons because the junction of Ganargua Creek and the Canandaigua Outlet reminded him of the town of Lyon in France where the Rhone and Saone Rivers meet. 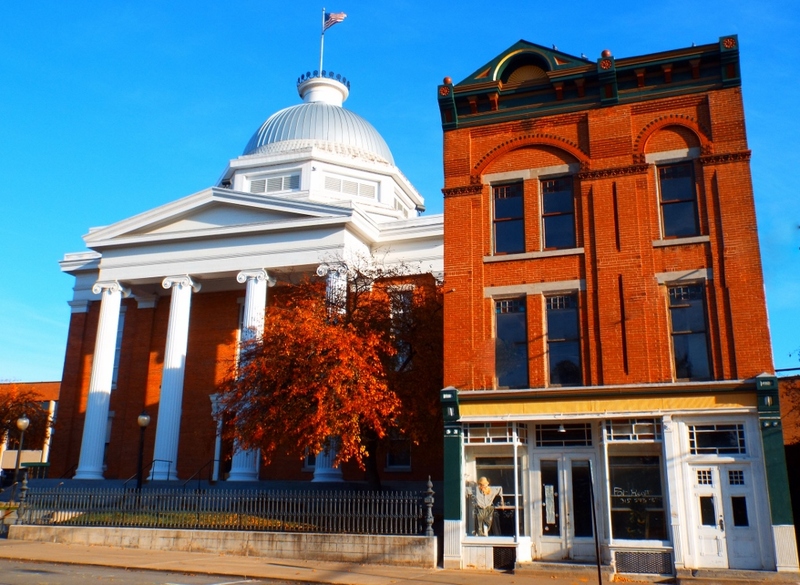 The first settlers came to what is now Wayne County in May of 1789. William and Nicholas Stansell, brother-in-law, John Featherly, wives and children made up this party of twelve original settlers. They arrived on the site that is now the village of Lyons. They came by bateau up the Mohawk River and other streams until they reached the junction of the Ganargua Creek and Canandaigua Outlet. Here they made their home. The Erie Canal was pivotal in the development of both the town and village of Lyons. The Canal reached Wayne County in 1820-1821. Because of the Canal, the population of Lyons doubled from 450 in 1824 to 900 in 1825. New roads and buildings were constructed, wages rose and real estate values increased. Lyon was known for being the home of one of the most successful and prestigious businesses in the world. The H.G. Hotchkiss International Prize Medal Essential Oil Company was founded by Hiram Gilbert Hotchkiss in 1839 in Phelps, New York. By 1841 the business has moved to Lyons to be nearer the Erie Canal. It was found that Hotchkiss oil was purer than any other oil available. The oil sold for more per pound than any other, and the Hotchkiss Essential Oil Company became the largest of its kind in the world. It was said that travelers on the Erie Canal could always tell when they were nearing Lyons – they could smell the peppermint. The H.G. Hotchkiss Company was sold in 1982 to an Indiana company, which continued to operate in Lyons until 1990, when they moved back to Indiana. The long successfully history of the H.G. Hotchkiss Company made Lyons the peppermint capital of the world for many years.